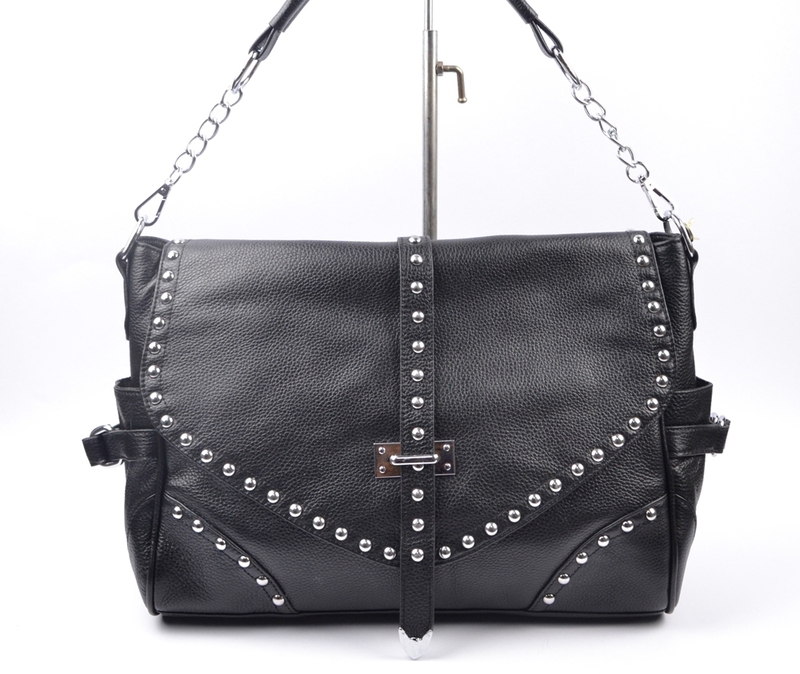 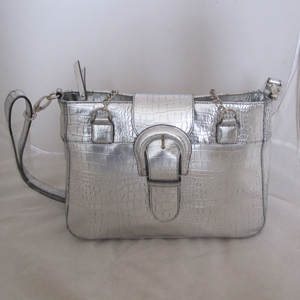 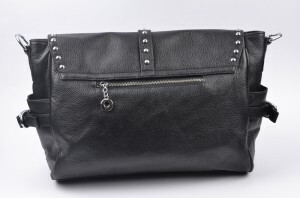 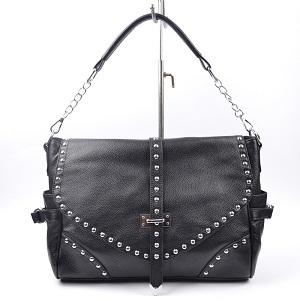 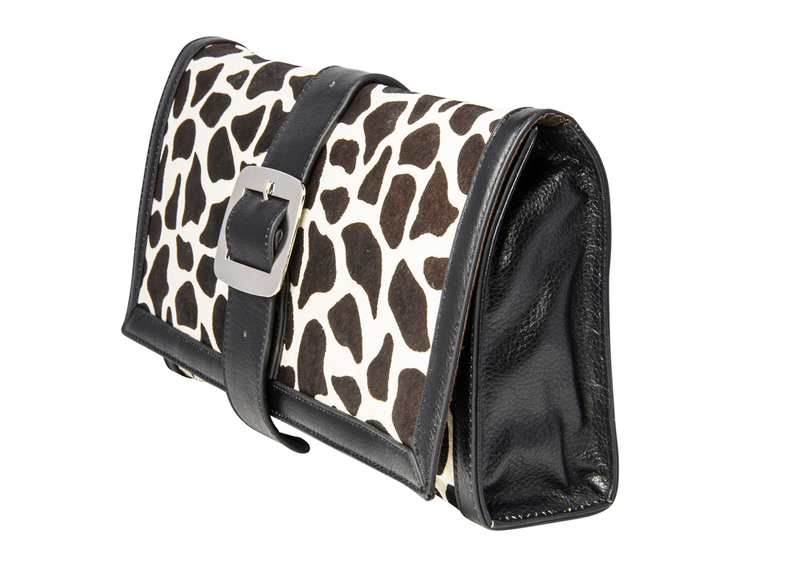 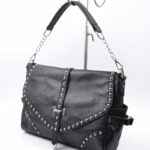 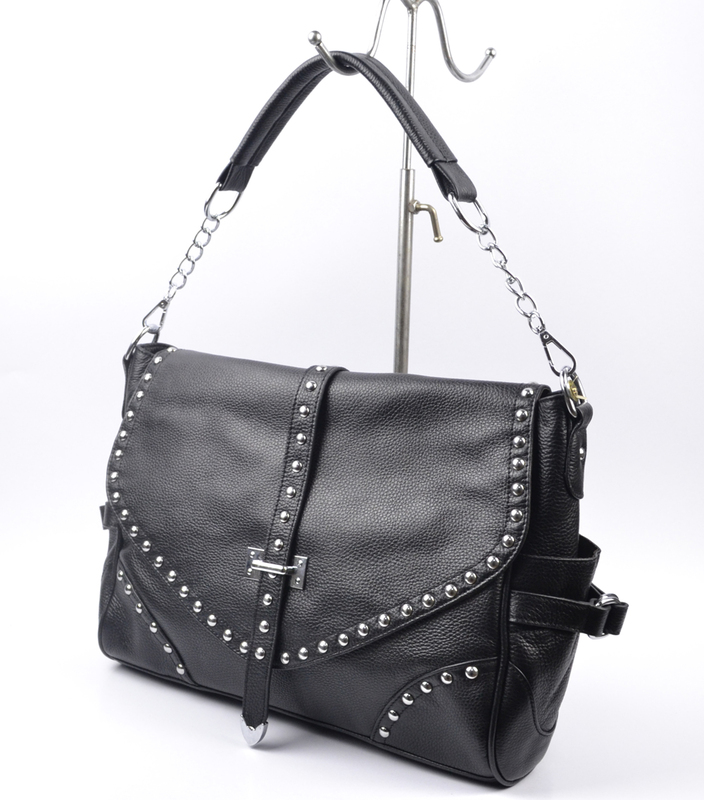 This black silver studded bag is not for the faint of heart! 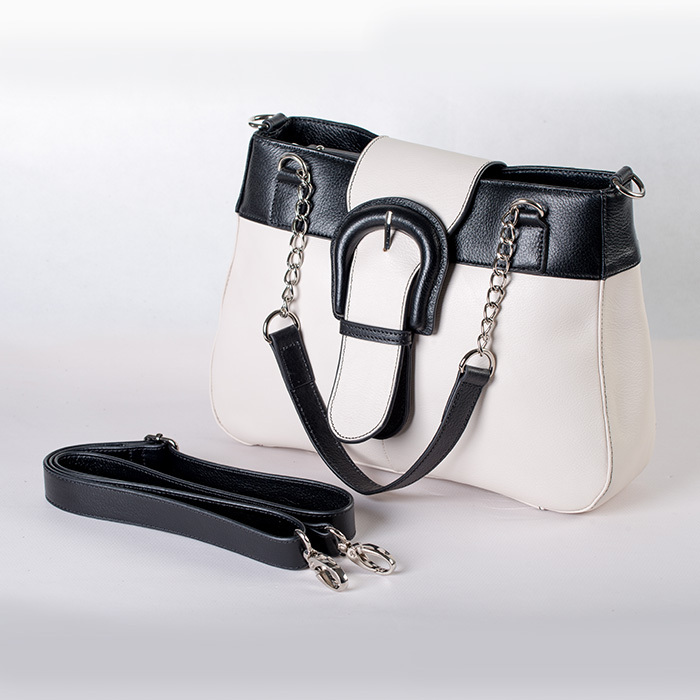 With strong architectural elements of side belts, studding and chained over the shoulder strap this mix of metal and 100% Genuine leather bag tells the world you mean business! Fully lined, 100% Genuine leather.